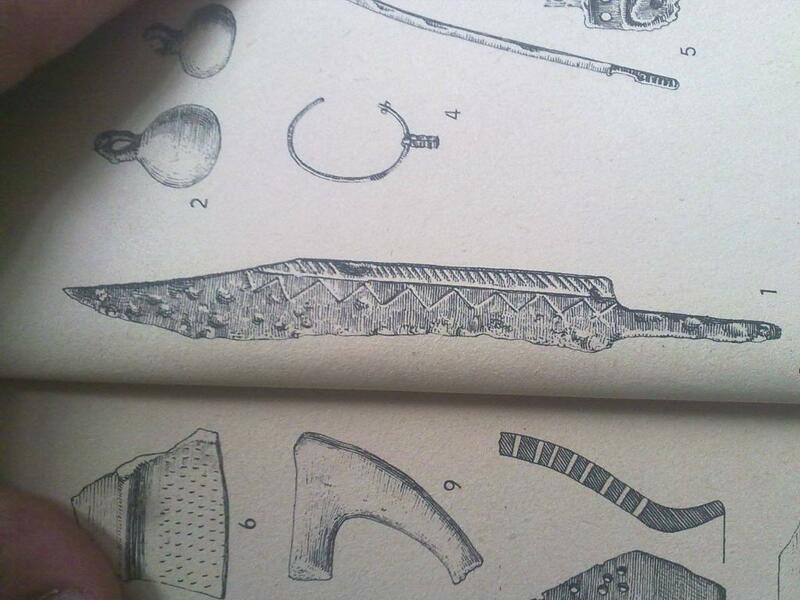 Strange little knife, but you seemed to have made a very faithful reproduction. Most interesting, great work as always. Rather good Ondrej. Lovely work. So that's how you tell which one's fake, which one is original. 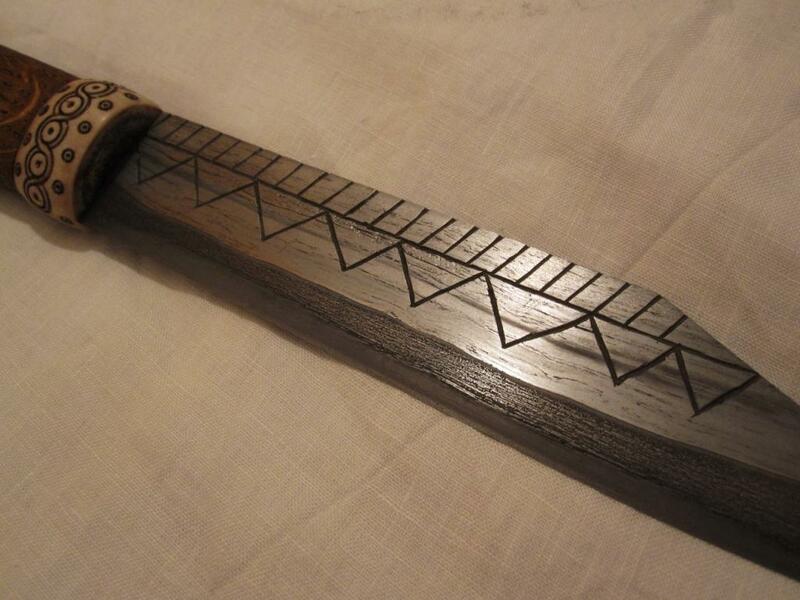 Original seaxes don't have engravings on their blades, right? 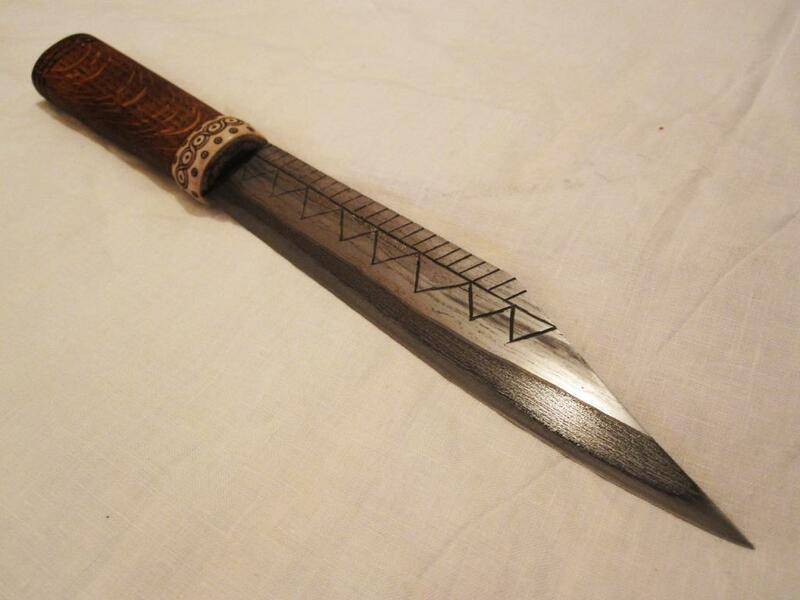 As far as I know, this seax is "fake" in the sense that the engravings seem to be intended to emulate the pattern welding found on fancier seaxes - but it's still a perfectly legitimate seax from the 9th Century and every bit as "original" as the fancier ones it seeks to emulate, as such. 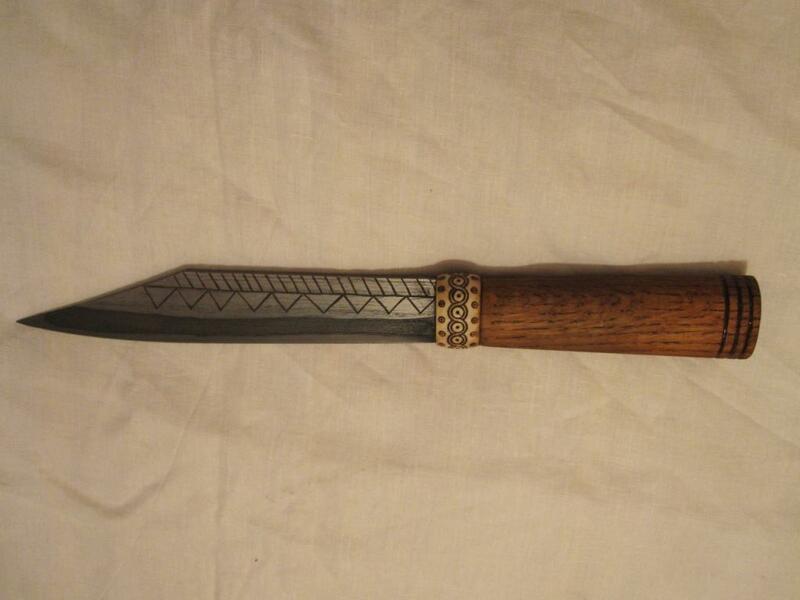 It's a real seax, just not a real pattern-welded Anglo-Saxon broken-back seax. Possibly a cheap continental ripoff of the genuine Anglo-Saxon product, so to speak, an affordable domestic imitation of foreign luxury weapons. For the purposes of historical study, "fakes" like this can be just as interesting as the "original" article, sometimes even more so! It's a lot like all the fake ULFBERHT blades (complete with various misspellings of the brand name) back in the day, or modern fake Rolexes (which are still perfectly genuine modern wrist watches, for all that they aren't genuine Rolexes). That said, yes, non-inlaid engravings do seem to be somewhat unusual on seaxes - though not unheard of - unless you count the very common "fullers", narrow cut or engraved channels shaped like the outline of a fuller that seem to serve no purpose other than the decorative. 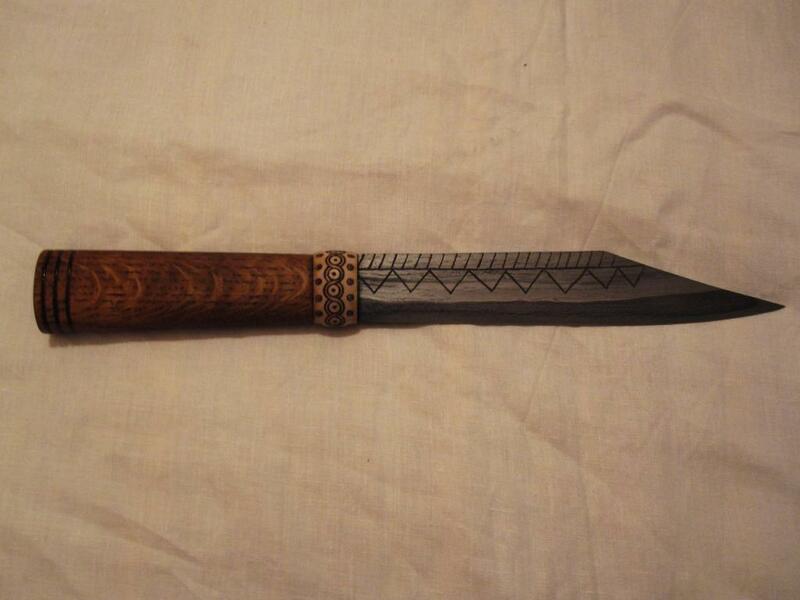 More typically, seax blades tend to be decorated with pattern welding and inlays in iron, silver, gold and various copper alloys, including black niello. On the other hand, there are also many that are quite plain, with little or no decoration of any kind.